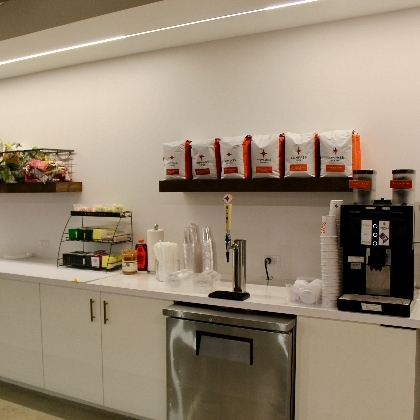 FiscalNote's benefits packages cover it all: From highly-rated medical, dental and vision packages to a fully stocked pantry with nitro cold brew on tap, and transportation stipends to help making getting to work a little easier, we make sure our employees have what they need to be successful. It's a very comprehensive and thoughtful benefits package. The best part about the benefits at FN was the paid time off. Every employee receives an equity package at the company, we get $500/year for vacation (have to take 5 days in a row), have a pretty stocked kitchen, and had a health week recently. WFH, Maternity & Paternity Leave, Vacation policy all top-tier. 401k, dental, health insurance are fair for a startup. Pretty great benefits. I didn't receive a very good package compared to most at the company, but I understood why. I believe most people at the company receive an excellent base salary, a good commission if that's part of their position, and some of the early employees received equity in the company. We can't believe it's already been a month (and 4 days) since the official incorporation of FiscalNote India Private Limited! We are so happy to have our team in Gurgaon, India as part of the FiscalNote Family. Glassdoor is your resource for information about FiscalNote benefits and perks. Learn about FiscalNote , including insurance benefits, retirement benefits, and vacation policy. Benefits information above is provided anonymously by current and former FiscalNote employees, and may include a summary provided by the employer.